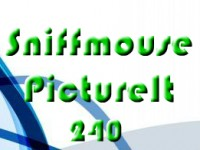 Sniffmouse PictureIt 240 is another picture puzzle game developed by Demolacion for SniffMouse. New weekend is here and it's time to sit back and relax. Try to solve 10 picture puzzles with no rush. The game is autosaving, so you can continue to play whenever you want. Thanks to Andrea, Arrie, Austen, Jim, Joe and Sharon for sent pictures! Good Luck and have fun! Er. No. A nicer game would be nice. I always enjoy these. Very relaxing, thanks! Why is this under escape games?